Up close, you can see that the black paint is starting to peel away from the edges and is faded in some areas. My parents have been talking about replacing them instead of having them repainted, and I, being the project-lover that I am, volunteered my services to try and make them myself. I got hesitant looks from everyone when I suggested it. Uh oh! And when I tried the idea of making them on a handy friend of my parents', he thought I was crazy. 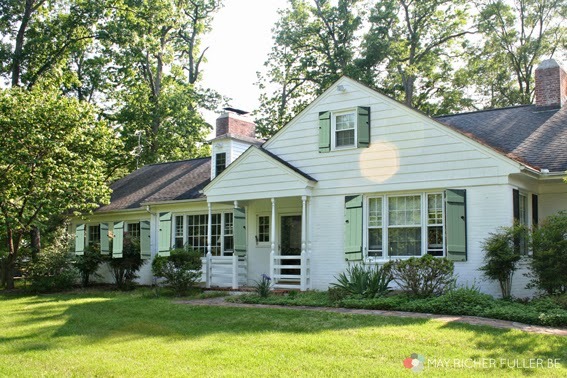 Now, there are a lot of shutters on this house (about a dozen or so windows), so it would be a big job, but I don't think it would necessarily be hard. 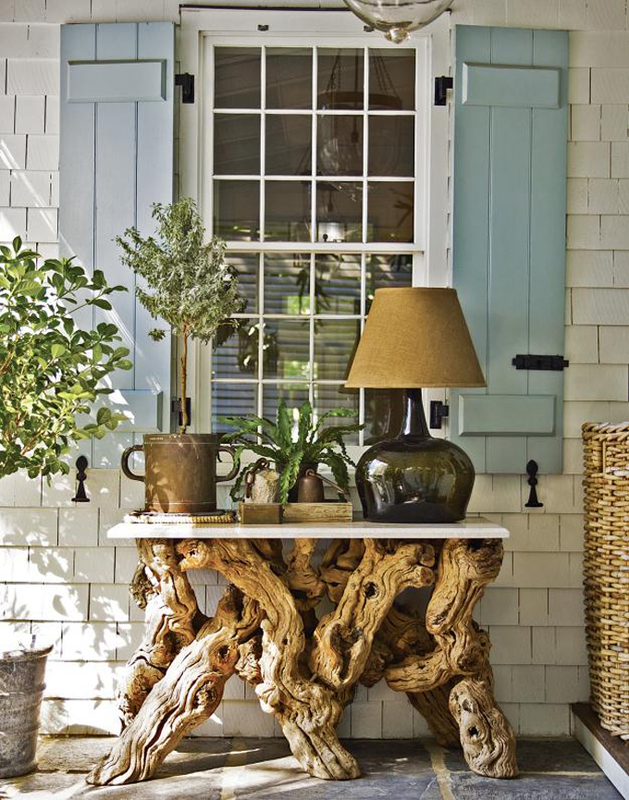 The style we'd be going for is board and batten to add a casual, cottage feel to the house. We haven't chosen a color yet, but it will probably be in the aqua or light blue-green gamily. So what do y'all think? Am I crazy for wanting to attempt this myself? Am I getting in way over my head with this project? I'd really love your insights! 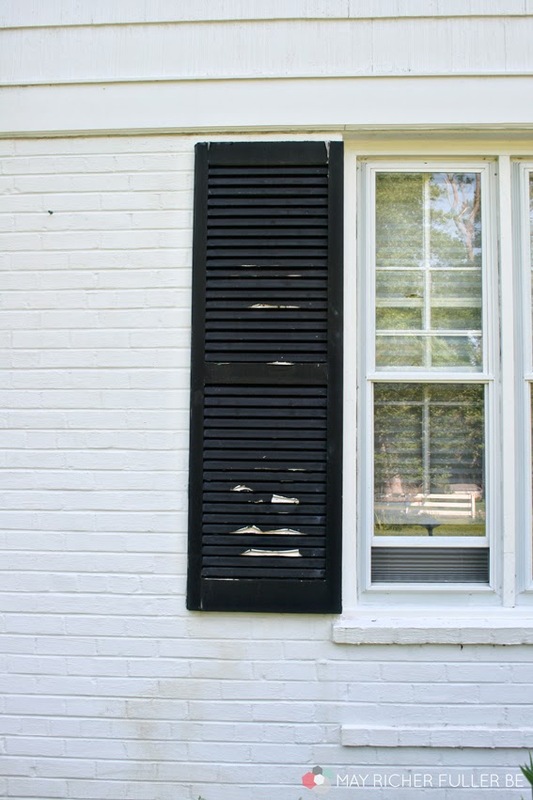 Here's a very very rough photoshopped version of what these shutters could look like. Don't judge me for my lack of photoshop skillz...or the weird shadows on the shutters I cut out ;). You can 100% build them yourself! I've seen the other things you've done, so this one is totally possible! My only advice is to paint between the boards before you attach them together, or else you'll have a terrible time getting your brush in the vertical spaces between boards. Can't wait to see what you do! Here's a simple tutorial I wrote that may be helpful to you. Totally DIY them!! I'd recommend in addition to the tutorial above, that you check out Traci @ Beneath My Heart, she actually made some just a week or two ago and put up a pretty easy tutorial also! 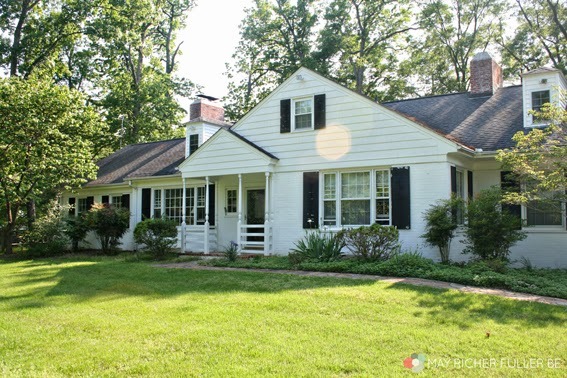 http://www.beneathmyheart.net/2014/05/instant-curb-appeal-diy-shutters/ Love the color you want to use, it will look great on the house and go perfectly with the cottage-y feeling of the interior as well! 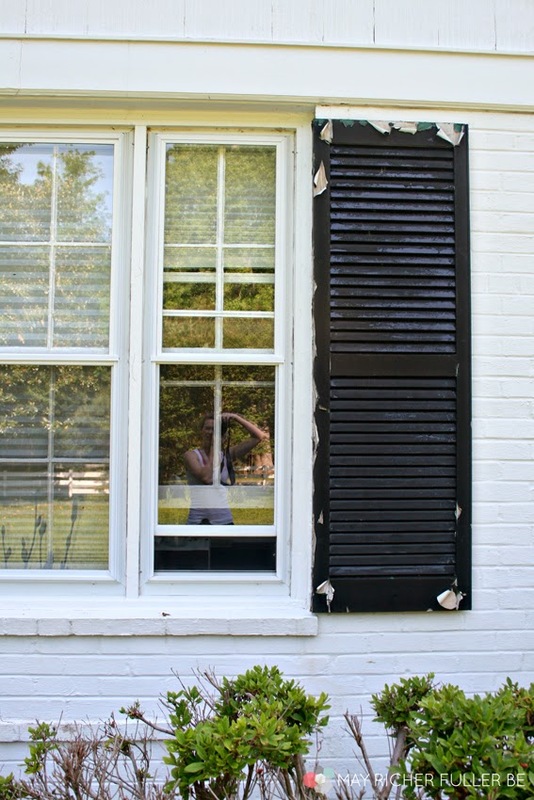 Chaney, I definitely think you could make these shutters! They don't look that difficult for a DIY girl like you. Show all the doubters that you can do it! That is some great work i see in the above pictures. By the look they might look difficult to make it yourself, but if one knows how to make it would be a lot easier. Good job. I like all the work in the pictures.